Namaste! Thank you for visiting us. 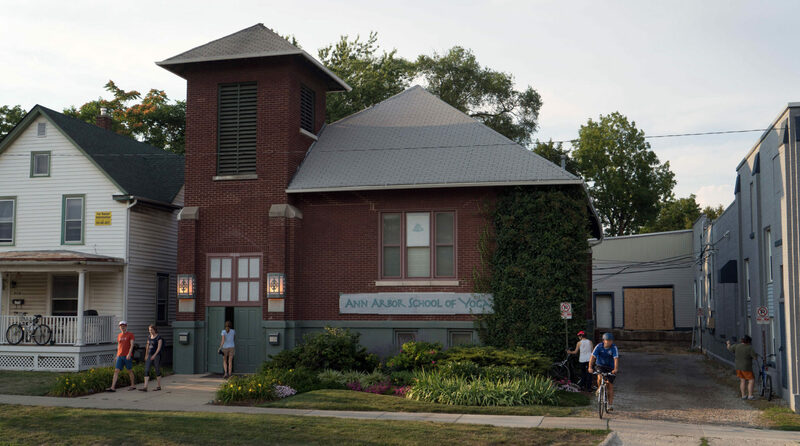 The Ann Arbor School of Yoga is an institute for the enjoyment and study of the Iyengar Method of Yoga. We begin our Spring/ Summer session April 22. Our director, Laurie Blakeney, has been practicing Yoga since 1971 and is a personal student of the late Shri B.K.S. Iyengar, the founder of the method. We have two non-profit sponsored classes! Sundays 4:30-6 pm is our $5 Community Class taught in Spanish and English by CIYT Rebeca Lindsay Smith. This class is open to all levels, beginners very welcome! Our non-profit also sponsors a $5 High School Teen’s Class on Mondays from 6:00-7:00p. These classes are ongoing, but not held on holiday weekends, or during session breaks. Drop-in visiting students are welcome to join us at any time. The fees and schedule are listed within the site. Please enjoy our site and feel free to contact us if you need more information. We hope you find everything you are looking for on our website, but in case you don’t, please email aasyoffice@gmail.com with any questions or comments. Enjoy!